I promise you don't need oil. Not if you don't want it anyway. You may have been thinking you need oil to get rid of all that tough eye makeup, especially the water-proof, but you really don't. Of course if you like oil, I say to each his own, and you would probably love the best-selling Lancome Bi-Facil Double Action Eye Make Up Remover. However if you are looking for a hard-working but non-irritating alternative to the greasy removers read on. 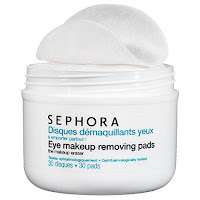 These are my ab fab, winning water-proof eye makeup removers of all time (and believe me, as a makeup artist I have tried everything). 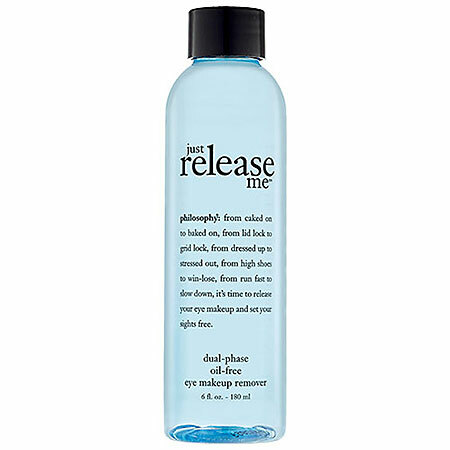 Not many people know about Philosphy's Just Release Me dual-phase oil-free makeup remover but it is a doppleganger of the Lancome Bi Facil. Except it's oil-free. And a lot cheaper. However it looks the same and acts the same. If you love how the Bi Facil swipes away every last trace of make up without having to tug or rub on your delicate eye area, then you will also adore Just Release Me. In fact, I love it so much that I buy it for my own personal medicine cabinet stash. Just give it a good shake before applying. 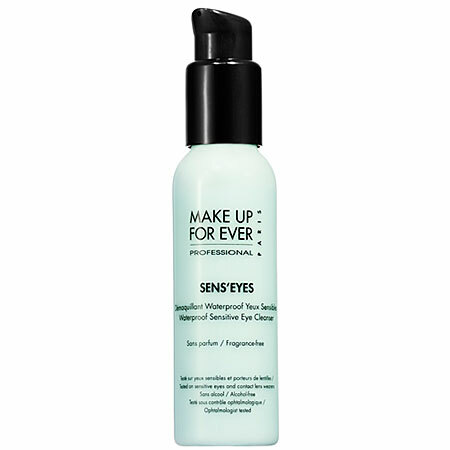 If you want a eye make up remover favored by makeup artists everywhere, then get Make Up Forever Sens'Eyes waterproof sensitive eye cleanser. Make Up forever is a professional brand of makeup often used for modeling, photo shoots, and theatrical events. It is top of the line. And one of the reasons the pros love Sens'Eyes is because when removing makeup you never know how sensitive the client is going to be. Many people react badly to harsh make up removers but I have never known anyone to react to Sens'Eyes. It comes in a lovely soothing gel/cream formula and will get rid of every last stich of makeup with virtually no effort at all. 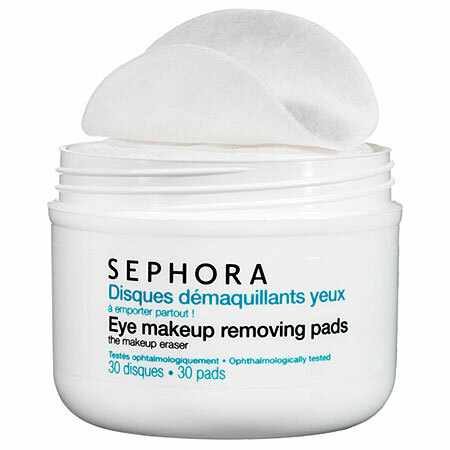 If you are looking for the convenience and ease of a pre-soaked pad, look no further than Sephora Brand Eye Makeup Removing Pads The Sephora brand is known for their eye makeup removers and if you get the pads you will have an oil free formula that many agree works on waterproof makeup as well. 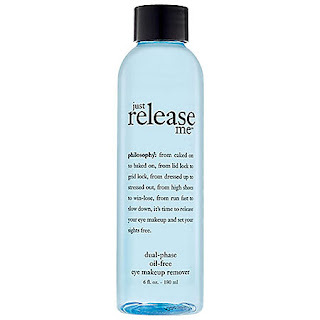 You will also be comforted to know that it contains no parabens, sulfates, phthalates, or synthetic fragrances - but what it does contain are super hydrators and lash-strengthening ingredients. 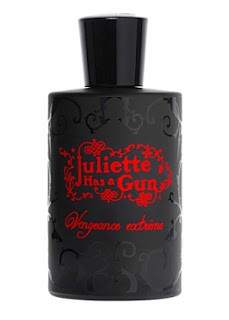 It is also perfect for travel - I take it with me when I go to spend the night at the boyfriend's! As you have probably noted, all three of these products are good for waterproof make up. You may be thinking to yourself "But I don't use waterproof eye make up". Well, that's ok. These three winners work wonderfully on ALL makeup.